This page shows two varieties of the species Oxytropis deflexa, one found in the montane and subalpine and the other found in the alpine. 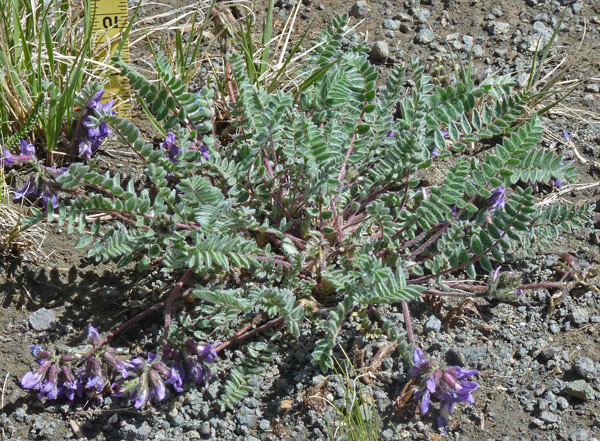 Oxytropis deflexa variety foliolosa. Synonym: Oxytropis deflexa variety deflexa. 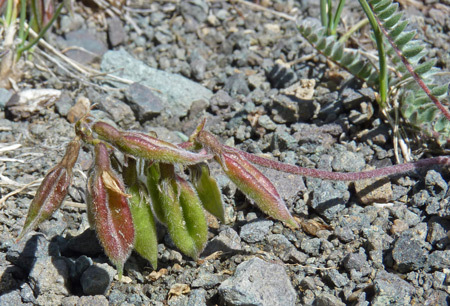 (Alpine Nodding Locoweed). Colorado Trail near Stony Pass, July 21, 2011. 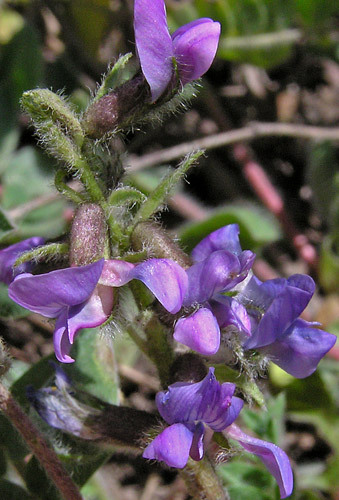 This variety of Oxytropis deflexa contrasts with the variety shown at the bottom of this page by having purple versus blue flowers in a tight versus loose cluster. Oxytropis deflexa variety foliolosa is found on alpine tundra, not on montane meadows. "Deflexa" is Latin for "reflexed", "bending outward". Both varieties sprawl along the ground with large open clusters of leaves. Lizard Head Trail, August 22, 2007. Lizard Head Trail, August 22, 2007 and June 17, 2013. 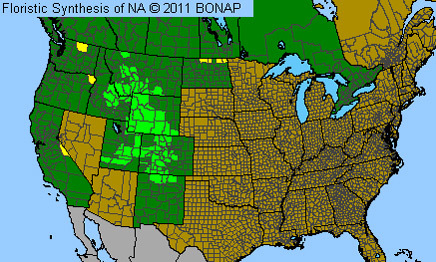 This Oxytropis is nearly circumboreal in its distribution and in the Northern Hemisphere it is found scattered from Alaska to Newfoundland, through the Rockies, and west to California. 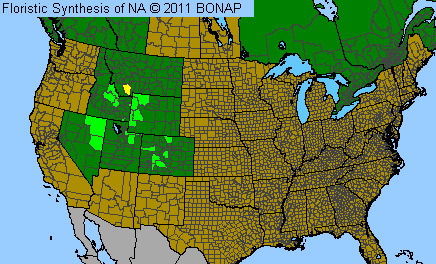 But as widespread as this distribution is, this is the first time it has been recorded in Dolores County, Colorado. 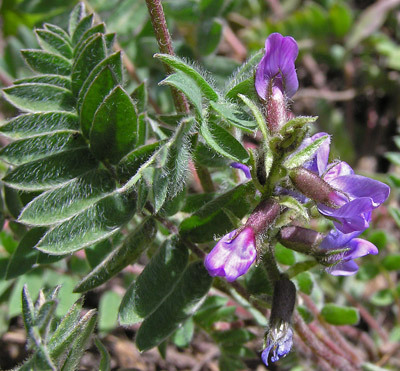 Oxytropis deflexa grows from three to sixteen inches tall, has hairy leaves on spreading arching red stems, flowers ascend on leafless stalks, and seed pods are pendulant and grooved lengthwise. 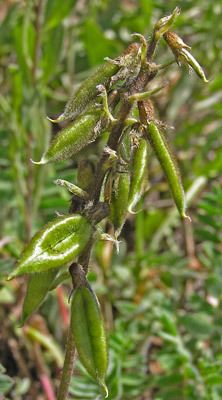 Notice that leaves near the tip of the stem are shorter than those at the bottom and that the flower cluster is fairly crowded but that the stem of the seed pods (shown below) has elongated and the pods are not as crowded. 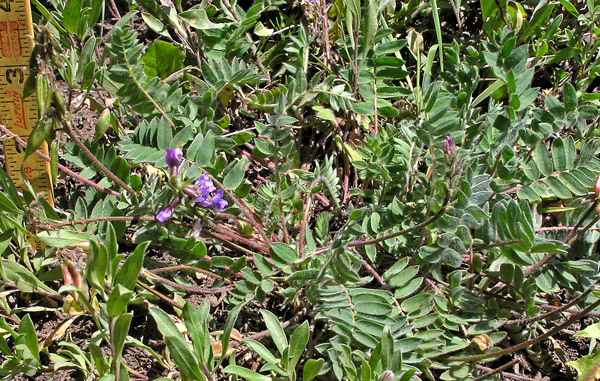 Peter Pallas named this plant Astragalus deflexus in 1779 from a specimen collected in Siberia. 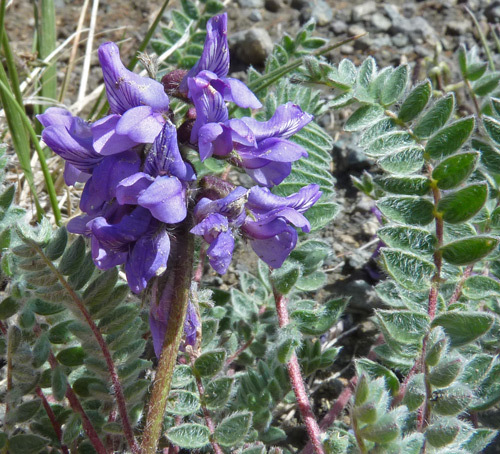 Augustin de Candolle renamed it Oxytropis deflexa in 1802. "Deflexa" is Latin for "reflexed", "bending outward". Notice the very abruptly pointed tip to the keel portion of the flower (at about the nine o'clock position and pointing downward). 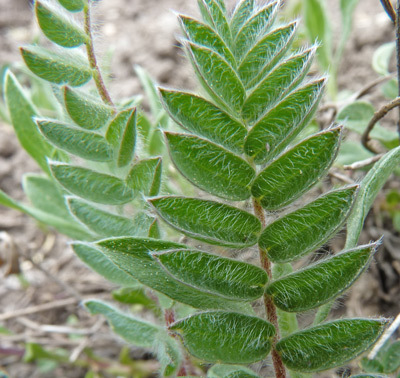 This shape is a diagnostic characteristic for the Oxytropis genus vs. the genera Astragalus and Hedysarum. To either side of the keel are the wings of the flower and above the keel is the backward curved banner. Pods of both varieties shown on this page are compressed and deeply grooved.